I have been working on a further idea for a portrait series. 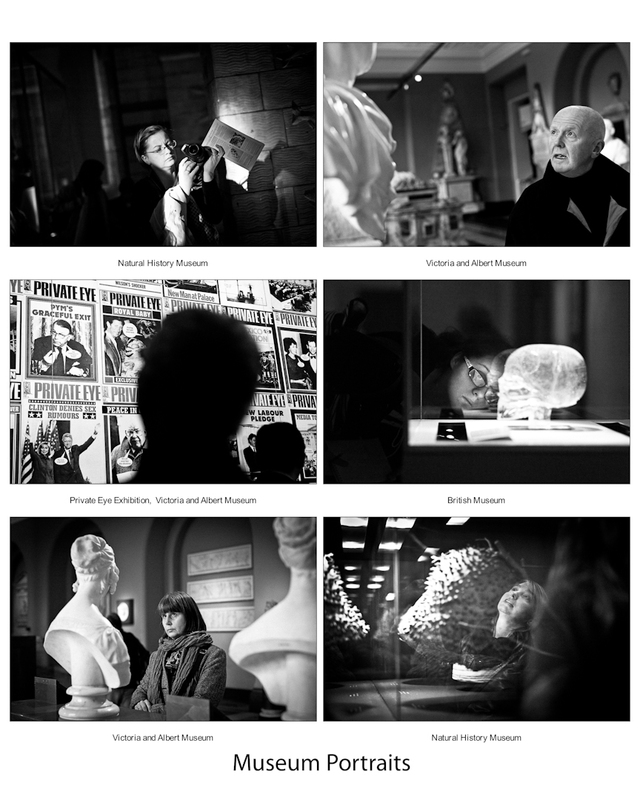 The concept is to capture portraits of people whilst they are viewing exhibits at Museums. Whilst engaged in looking at objects the subjects will be absorbed in their own thoughts about what they are seeing. The will not be putting on a ‘mask’. They should simply be themselves. I like this as an idea for a candid series. The arrangements in Museums are also interesting with brightly lit display cabinets and subdued lighting around. The style I have in mind is a reportage one stylised in high contrast black and white. For the last two days I have visited some of London’s museums to test out the idea. Here are some of my selected images. I need to go back to the concept after while to see how I think about the results, but at the moment I like the idea.